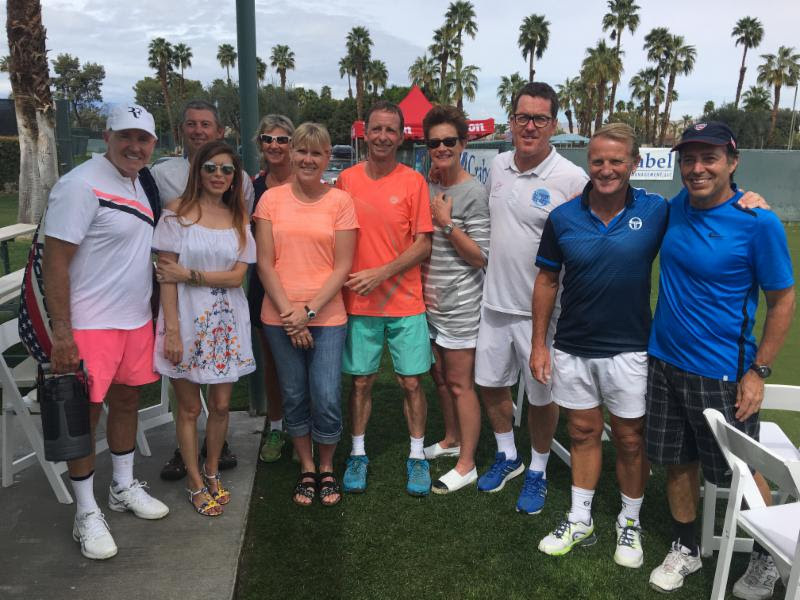 The top 60 and Over players in the world battled it out March 9-13 in Palm Springs, CA at the inaugural Crabel Masters IC Challenge. With a format similar to Ryder Cup in golf and the new Laver Cup in tennis, the competition pitted the best of the USIC against an IC team comprised of players from the Rest of the World. The event brought together players who combined had won more than 30 ITF Senior individual and team world titles. 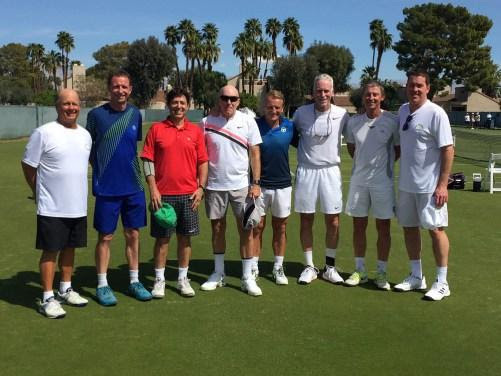 Played on the beautiful grass courts of the Mission Hills Country Club, the competition resulted in numerous three set matches with the IC World team scoring a decisive victory over the USA team winning 12 of 16 matches. On the World squad, Norbert Henn of Germany was undefeated, while Glenn Busby of Australia and Steve Alger of Great Britain lost only once each. The players and IC guests also had the pleasure of watching the pros play at the BNP Paribas Open in Indian Wells. Many thanks to our host and sponsor Toby Crabel and his company Crabel Capital for a great week of tennis.